What was Hank?s trusty sidekick Drover?s life like before he came to the ranch? It?s all here, from his early days as runt of the litter through his fruitless search for a job to his ultimate position as Hank?s right-paw man. Drover?s Secret Life is a must-read for all fans of this long-running series. John R. Erickson and Gerald L. Holmes both live in Perryton, Texas. 3. 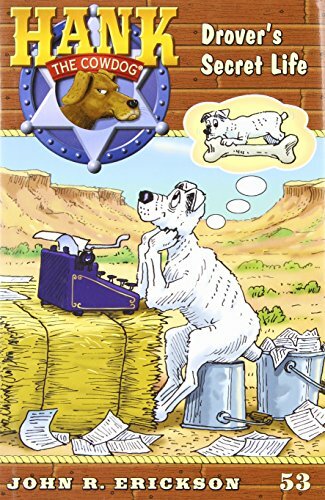 Drover's Secret Life #53 (Hank the Cowdog) Erickson, John R. and Holmes, Gerald L.